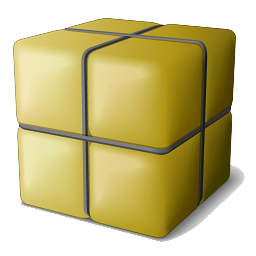 Export decompiled code, Quickly jump to specific code, View Java bytecode in a separate view. Understand how APIs, components, frameworks, and all the critical code you use really works by decompiling and seeing inside. 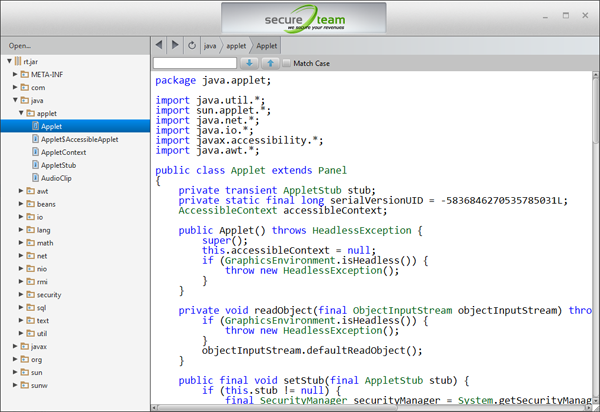 SecureTeam Java Decompiler let's you look into any Java code even if you don't have the source, making it fully visible for you to aid in your debugging efforts, understand how third-party libraries work, and analyze your optimized code. 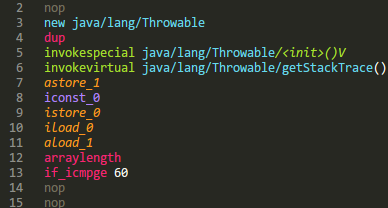 Decompiles any Java artifact. Support Java 5+ language features like generics and typesafe enums. Uncover third-party libraries inner workings. Discover the source of hard to find bugs, by seeing where the problem lies - whether it's in your own code, third-party libraries, or components used by your application. Peek into the third-party libraries or components you're using, find undocumented functionality and get more out of the APIs and technologies you’re using.